This article was originally published on The Hindu. You have revelled with the crowds on the beaches of Goa, learnt the Golden Triangle route like the back of your hand, photographed the terrain of Leh, experienced royalty in Rajasthan, sailed the backwaters of Kerala, and played with snow in Manali. In the coming year, get off the tourist trail and discover a different side of India. Climb the mountains on the roof of our world in Spiti, Ladakh’s lesser-known cousin, where people are as sparse as the vegetation on its bare brown peaks. Unlike the hill stations we typically visit, Spiti’s breath-taking landscapes, gushing rivers, starry skies, deep gorges, blue streams, and curious summits offer a rare experience of discovering life in the Himalayas. As you spot elusive mountain wildlife, follow Buddhist trails, savour Tibetan delicacies, and hitchhike to remote Himalayan villages, the legends and folklores of the valley will engulf you. It’s hard to fathom life in the harsh winter climate in this cold mountain desert, but the warmth and conviction of its people will leave you humbled. The white salt desert of the Great Rann of Kutch is nowhere as famous as the sandy desert of Rajasthan, but it’s equally, if not more, majestic. A flat expanse of land covered with a solid snow-like layer of salt, the Rann has nothing around as far as your eyes can see. Sunrise and sunset lend golden hues to the white desert, creating a magical aura. The village of Hodka offers a charming way to discover the Great Rann of Kutch; you live in traditional mud bhungas, watch the colours of Gujarat come to life in its folk music and dances, sample typical Gujarati food, marvel at the many forms of Kutchi crafts, and feel overwhelmed by the affection of its people. You leave the village craving for the simplicity and richness of a slow life. Lakshadweep is an oasis of blue in our own backyard. When the waves beckon, take a cruise along the Arabian Sea, to the powdery white beaches and the cobalt blue waters of Kalpeni, Bangaram and Minicoy islands. While Indian beaches are typically associated with heavy crowds and adulterated sands, this cluster of islands is a rare exception, thanks to efforts to preserve its clear blue seas and white sands by limiting tourists. 400 km off mainland, it becomes your own mini paradise as you snorkel or scuba-dive through its deep blue lagoons, exotic marine life, and colourful corals, while the evening sun paints its seas with the colours of the rainbow. Madhya Pradesh might rarely be found on a travel itinerary, and that’s a pity, for it homes some of India’s oldest history and culture. The little village of Pranpur welcomes you with the soft clickety-clack of its looms, as its men and women intricately weave magic in the form of Chanderi silk saris. You recall your history textbook and feel proud of India’s claim as the producer of the finest silks. It might be one of India’s poorest regions, but that won’t stop the village folk from inviting you to their huts for a lavish Bundelkhandi meal. Inspired by the village of Hodka, Pranpur’s own village tourism committee has opened its doors to visitors in the form of a rustic guest house set amid a mango orchard. In gorgeous alpine meadows, along the banks of pristine glacial lakes, and under the soft light of the stars, you’ll discover a beautiful way to explore the unique Trans-Himalayan culture of Uttarakhand. Home to the Bhotiya people, the high-altitude villages of the Nanda Devi Biosphere Reserve opened their doors to community-based tourism in an attempt to preserve the rich heritage of the region. As you follow the shepherds of Nitti Valley and their flocks into grazing pastures, you’ll discover that the region is an oasis for Himalayan flora and fauna, and spot exotic mountain wildlife and songbirds. Its remarkable scenic beauty will find a place in your heart (and your camera), and you’ll dream of an abode in the majesty of the Himalayas. Punjab is known for the hospitality of its people and the richness of its food, but in the cities of Amritsar and Chandigarh we barely scratch its surface. Experience the real warmth of Punjab on its countryside, where its people will welcome you with warmth that’s a notch higher than any other part of India, its food will treat your taste buds, and its traditional folk music will rejuvenate your spirit. In true Punjabi style, home- and farm-owners in the pinds of Punjab welcome visitors to experience a slice of Punjabi country hospitality amid beautiful forestlands and fruit farms. You’ll rarely leave Punjab without the feeling of leaving a home away from home. A secret paradise near Gangtok, Dzongu is home to dense jungles, hidden waterfalls, and beautifully virgin valleys. Surrounded by rugged Himalayan peaks on all sides, Dzongu’s picturesque villages are home to the Lepchas people, who welcome visitors to stay with them in their humble homes and shower them with traditional mountain hospitality and food. Despite its setting in the Himalayas, Dzongu is different from its northern counterparts in the tranquillity of its setting and the peaceful vibes of its scanty population. A taste of life in the North-east of India makes you realize what a truly diverse country we live in. The pristine white beaches and the royal blue seas of the Andaman Islands are reasons enough to visit them, but they also house what might be the most fascinating culture in all of India; that of aboriginal tribes which have never had contact with the outside world! While the Indian government strictly patrols the privacy of the forest areas inhabited by these tribes, you’ll find yourself intrigued by just being in their vicinity. Surrounded by Eurasia’s last isolated tribe on one side, and the most beautiful stretch of the Bay of Bengal on the other, the Andaman Islands offer an escape that is as beautiful as it is remote. Not all Rajasthanis traditionally lived royal lives in palaces; many grew up as sons and daughters of the desert and its earthy way of life. The legends, music, culture and history of Rajasthan take on lives of their own as you venture further into the desert from Jaisalmer. Pohra is one such small settlement where you can watch Rajput men and women bring Rajasthani folklore to life around a desert fire under incredibly starry skies. You can trace footprints of wild animals on the sand, ride a camel into the heart of the Thar desert, meet traditional artisans from nearby villages, spot wild birds at night, and revel in the hues of the evening sky. You’ll soon realise that this is royalty only a few get to experience. 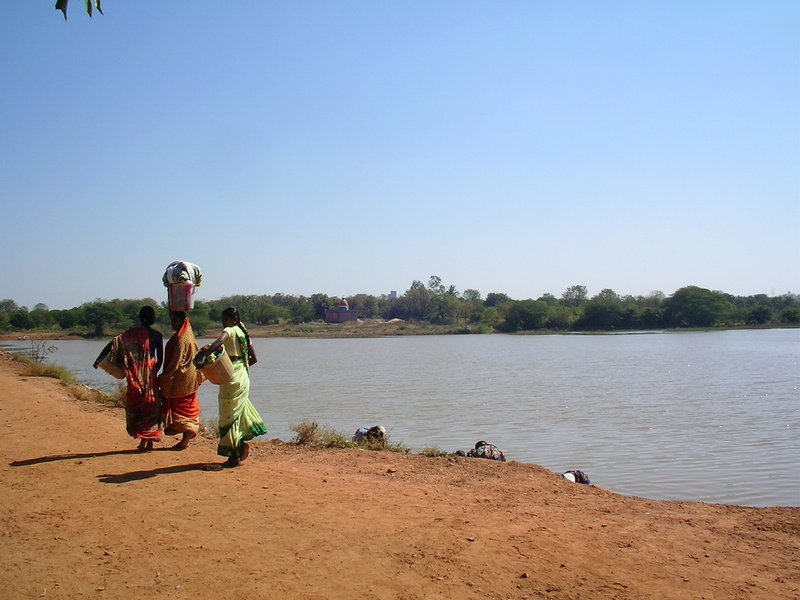 Often dubbed the Kashmir of Chattisgarh, the Bastar district is a land of peaceful tribal villages, surrounded by dense forests, majestic mountain peaks, gurgling streams, and natural caves. Its sprawling green valleys are dotted with traditional bamboo huts, where the rich art and culture of the Bastar Tribes is yet to be discovered. As Chhattisgarh attempts to find its place on the Indian tourism map, it’s time to shed your inhibitions about the state and experience the beauty of life in untouched tribal settlements, where time almost moves backwards. The temptation to take the road to Goa is perhaps why Maharashtra’s southernmost district, Sindhudurg, still offers recluse in its empty beaches and the unadulterated sounds of its waves. Its unassuming little fishing villages offer a glimpse into the Konkan way of life, with the villagers playing host as you experience living in their modest homes. The rhythm of the rain, the delectable Malvan food, the heady aroma of the seacoast, and the shades of the orange sky ease you into the life of the fishermen. Indulging in simple living on this isolated stretch of India’s west coast, you begin to appreciate the little things that we take for granted in cities. As numerous houseboats sail everyday on the backwaters of Kerala, the village of Vechoor on the shore of these waters offers a hideaway that is as exclusive as it is beautiful. On a small farm on a manmade island almost two metres below the water level, you experience the Kerala way of life of a Kuttanadan (backwater) family. You rejuvenate with a traditional Ayurvedic massage, canoe into a tranquil sunset, try your hand at homemade local cuisine with a strong backwater influence, and unwind in the picturesque setting of the backwaters. Life, as you soon come to realise, is only as complicated as we make it to be. New Year Greetings Shivya,,Expect more travel, adventure and posts from you in 2012. Hi Shivya, Hope you are doing good. I want to know if you have travelled to Sikkim or other North East States in India. Would like to get some information and your opinion as well. Previous PostFrom Punjab, With Love.